Kenny Hubble's Media Ecology is a series of open discussions about Media, Culture, and the impact of emerging Virtual Worlds. This forum will take place in Second Life, and will engage the residents of this virtual space in a discourse about this new form. 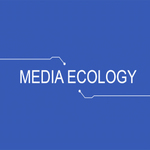 Media Ecology is an interdisciplinary field of media theory involving the study of media environments. Media ecology looks into the matter of how media of communication affect human perception, understanding, feeling, and value; and how our interaction with media facilitates or impedes our chances of survival. The word ecology implies the study of environments: their structure, content, and impact on people. Kenny Hubble will introduce basic topics in Media Ecology and will be joined throughout the series by noted scholars, authors and researchers in the field of Media Ecology, who will visit Second Life to deliver their ideas and interact with the participants. The series will be presented select Mondays as scheduled from 5-7 PM SLT (8-10 PM ET) at the Media Ecology Pavilion in Second Life at We The Living 102/129/22. Robert K. Logan originally trained as a physicist, is a media ecologist. He received a BS and PhD from MIT in 1961 and 1965. After two post-doctoral appointments at University of Illinois (1965-7) and University of Toronto (1967-8) he became a physics professor in 1968 at the U of Toronto until his retirement in 2005. During this period in addition to math-based physics courses he taught an interdisciplinary course The Poetry of Physics which led to his collaboration with Marshall McLuhan and his research in media ecology and the evolution of language. His best known works are The Alphabet Effect based on a paper co-authored with McLuhan and The Sixth Language. A new study is being made of the social impacts and history of the “new media” is a project called Understanding New Media: Extensions of Marshall McLuhan. The impact of the “new media” on the media McLuhan studied in Understanding Media: Extension of Man like radio, TV and the movies as well as the impact of “new media” themselves like the Internet, the World Wide Web, Blogs, Cell Phones, I-pods, etc. Paul Levinson BA, MA, Phd is an American author and professor of communications and media studies at Fordham University in New York City. Levinson's novels, short fiction, and non-fiction works have been translated into twelve languages. As a commentator on media, popular culture, and science fiction he has been interviewed over 500 times on many local, national and international television and radio shows. He is interviewed in a short weekly spot early Sunday mornings on KNX-AM Radio in Los Angeles, on media-related news events and popular culture. He hosts four podcasts and maintains several blogs. In 1985 he co-founded Connected Education, offering online courses for Masters credit. He served as President of the Science Fiction and Fantasy Writers of America from 1998 to 2001. He is presently Chair of the Department of Communication and Media Studies at Fordham University. Eric McLuhan lectures throughout the world on communication and media and has over 30 years of teaching experience in literature, media and communication theory. He assisted his father with research and writing for a number of renowned books including The Medium is the Massage and War and Peace in the Global Village prior to publishing Laws of Media, posthumously co-authored with his father, Media Ecology pioneer, Marshall McLuhan.